Have you ever thought about participating in an international experience abroad? Enhance your career prospects and participate in an opportunity with Western Sydney University. The New Colombo Plan is a signature initiative of the Australian Government which aims to lift knowledge of the Indo-Pacific in Australia by supporting Australian undergraduates to study and undertake internships in the region. The Australian Government wants study and work-based experiences in the Indo-Pacific to become a rite of passage for young Australian undergraduate students. Eligible students selected for an opportunity below will be supported by a $3000 New Colombo Plan Mobility grant and may be eligible to receive a deferred OS-HELP loan valued up to $8,149 (conditions apply). This project will provide five Western Sydney University students with an opportunity to live and learn in multicultural Malaysia for three weeks under Universiti Kebangsaan Malaysia's (UKM) supervision. The course introduces students to the unique cultures of indigenous communities in Malaysia, enabling students to understand the communities' history, their recent marginalisation and the process of cultural transformation. The Public Health Study Tour (PHST) is a two-week intensive program for public health students to gain experience in the public health sector in Indonesia. The study tour will provide an introduction to the public health challenges currently facing Indonesia, as well as existing government, international and community-led initiatives tasked with meeting these challenges. This venture is focused on building sustainable communities with many impactful development projects across Agricultural and Food Security, Environmental Sustainability Initiatives and Health. You will need permission from Western Sydney University to apply for this experience. Please submit an Expression of Interest (opens in a new window) to Project Everest directly. For further advice please contact Dr Arianne Reis at a.reis@westernsydney.edu.au or (02) 4620 3136. This program explores the development and maintenance of the Mexican healthcare system in the context of how developing countries manage their health systems. The Public Health in Mexico program also has a large focus on looking at community health. As a student in the Tuscan city of Florence, you will quickly feel like a local as you wander through busy piazzas in search of your favourite pasta trattoria! The Florence University of the Arts (FUA) is where you will spend your July in Florence program. Through this program you'll enjoy living and volunteering in St. Lucia, South Africa, a small coastal community surrounded by beautiful landscapes and diverse wildlife - a UNESCO World Heritage location. Surrounding the beautiful area of St. Lucia are rural villages inhabited by thousands of people with scarce healthcare resources. Working alongside community health workers, care givers, and medical professionals, you'll provide both direct treatment as well as awareness and prevention of HIV, tuberculosis, and lifestyle/social issues such as family planning and nutrition. 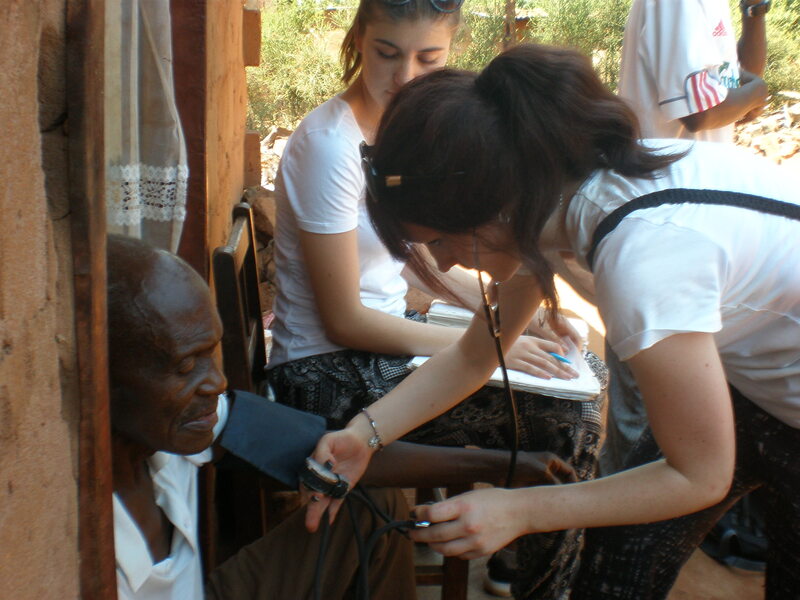 This project gives you the opportunity to engage with people – young and old – to make a positive impact while at the same time undergoing an unforgettable, life-changing experience. In an effort to support your participation in an overseas opportunity we have identified a few opportunities for financial assistance. Note that you will only need to apply for these once you have been accepted into the program. The university offers students participating in a short course up to $500 to support their travel. All necessary information can be found on the Go Global webpage, including the application form. OS-HELP is not a grant/scholarship, but it is an option that we would like to bring to your attention. Eligible students can receive a deferred loan for $4000 or $8149 which is added to your existing HECS-HELP debt. Further information can be found on the OS-HELP webpage.